When fifteen-year-old Clary Fray heads out to the Pandemonium Club in New York City, she hardly expects to witness a murder -- much less a murder committed by three teenagers covered with strange tattoos and brandishing bizarre weapons. Then the body disappears into thin air. It's hard to call the police when the murderers are invisible to everyone else and when there is nothing -- not even a smear of blood -- to show that a boy has died. Or was he a boy? This is Clary's first meeting with the Shadowhunters, warriors dedicated to ridding the earth of demons. It's also her first encounter with Jace, a Shadowhunter who looks a little like an angel and acts a lot like a jerk. Within twenty-four hours Clary is pulled into Jace's world with a vengeance, when her mother disappears and Clary herself is attacked by a demon. But why would demons be interested in ordinary mundanes like Clary and her mother? And how did Clary suddenly get the Sight? The Shadowhunters would like to know. . . . 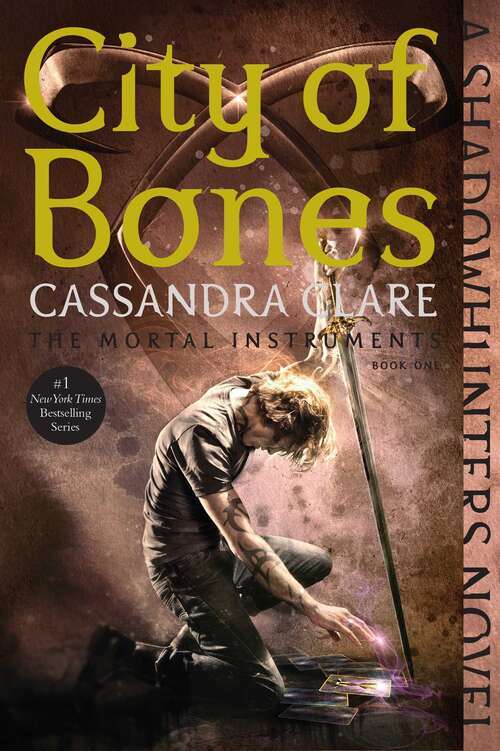 Exotic and gritty, exhilarating and utterly gripping, Cassandra Clare's ferociously entertaining fantasy takes readers on a wild ride that they will never want to end.